Patients may sometimes feel that the look of their smile is not at its best. The reasons behind this impression can stem from the fact that some of their teeth are stained, chipped, worn down, too far apart, irregularly shaped, cracked or discoloured. In such cases, instead of restoring or replacing their teeth, patients can opt for partial reconstruction procedures that involve the use of porcelain veneers. 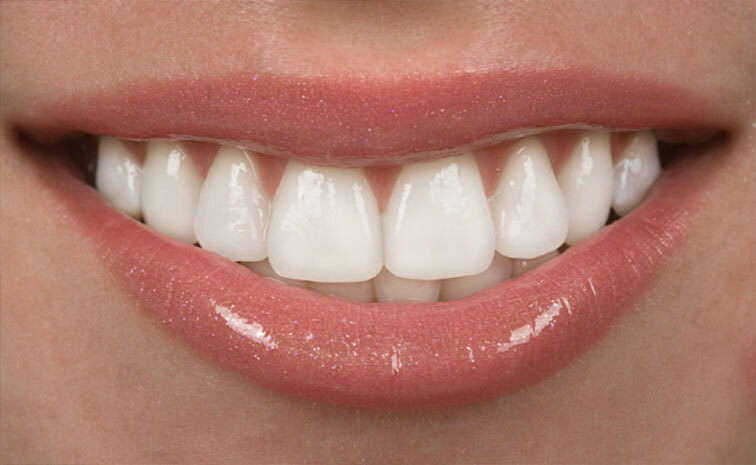 Dental veneers are wafer-thin shells (about 0.3 millimetres thick) made of porcelain. They are applied to the front of the teeth that are in need of a partial reconstruction, usually for aesthetic reasons. Custom-made, these tooth-coloured materials are stain resistant and long lasting. Getting porcelain veneers is a relatively simple process that usually involves going to the dentist twice after the patient and the dentist agreed to opt for this partial reconstruction method and prepared a treatment plan in accordance with the goals the patient seeks to achieve. Once this is done, the first surgical act is to give the patient a local anaesthetic in order numb the teeth from which the dentist will remove an amount of enamel that is equal to the thickness of the future veneers. Digital impressions of the patient’s mouth will then be taken and sent to a dental laboratory whose job is to prepare the veneers. Since a couple of weeks may be needed at the laboratory to produce the porcelain veneers, the dentist will provide the patient with temporary veneers.